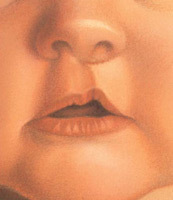 What is Cleft Lip, Cleft Palate and their Repair? Cleft lip (cheiloschisis) and cleft palate (palatoschisis) are among the most common birth defects affecting children in North America. The incomplete formation of the upper lip (cleft lip) or roof of the mouth (cleft palate) can occur individually or both defects may occur together. The conditions can vary in severity and may involve one or both sides of the face. A cleft, or separation of the upper lip and/or the roof of the mouth, occurs very early in the development of your unborn child. During fetal development, certain components of the upper lip and roof of the mouth fail to form normally. Cleft lip and cleft palate surgery corrects this abnormal development both to restore function and normal appearance. Most clefts can be repaired through specialized plastic surgery techniques, improving your child’s ability to eat, speak, hear, and breathe. Early intervention by a team of specialists to evaluate your child is essential in cleft lip and/or cleft palate repair. The team will work together to define a course of treatment, including surgical repair of the cleft, speech rehabilitation and dental restoration. When should my child have the surgery? The timing of the cleft repairs depends on the individual circumstances of your child. Surgery is best performed when the child is generally healthy, gaining weight and thriving. Cleft lip repairs are initially performed when a child is at least ten weeks of age, ten pounds in weight, and has a hemoglobin (or blood count) of at least ten. Cleft palate repairs are generally performed when a child is somewhat older, from six to 18 months of age. Be candid about your concerns for your child and your plastic surgeon’s ability to meet his or her special needs. In some cases, your child may be given an intraoral (inside the mouth) device, called an obturator, to wear prior to repair of the cleft lip or cleft palate that may assist in feeding and maintain the arch of the palate prior to repair. Be sure to ask your plastic surgeon your questions. It’s very important to understand all aspects of your child’s procedure. It’s natural to feel some anxiety, whether excitement for the anticipated outcomes for your child or preoperative stress. Please discuss these feelings with your plastic surgeon. General anesthesia is used to maintain your child’s comfort and safety during the surgical procedures. The goal of cleft lip surgery is to close the separation in the lip and to provide a more normal function, structure and appearance to the upper lip. Incisions are made on either side of the cleft to create flaps of tissue that are then drawn together and stitched to close the cleft. The repair of a cleft palate requires careful repositioning of tissue and muscles to close the cleft and rebuild the roof of the mouth. 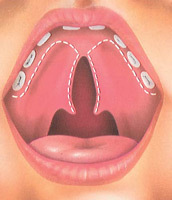 Incisions are made on either side of the cleft and specialized flap techniques are used to reposition muscle and the hard and soft components of the palate. The repair is then stitched closed, generally at the midline of the roof of the mouth, providing enough length of the palate to allow for normal feeding and speech development, and continued growth throughout life. Cleft lip and palate incisions can be closed with removable or absorbable sutures. 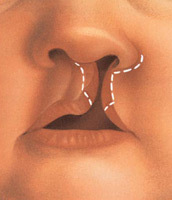 The resulting external scars of a cleft repair are generally positioned in the normal contours of the upper lip and nose. Over time, these will fade and your child’s ability to grow and function normally will continue to improve. The decision to have cleft surgery is extremely personal and your plastic surgeon will explain the benefits, goals, and potential risks or complications. You will be asked to sign consent forms to ensure that you fully understand the procedure, the alternatives, and the most likely risks or potential complications. These risks and others will be fully discussed prior to your consent. It should be noted that most of these risks can be prevented or corrected. It’s important that you address all your questions directly with your plastic surgeon. It is possible that further surgeries will be necessary. After surgery, dressings or bandages may be placed on incisions outside your child’s mouth. You will be given specific instructions that may include how to care for the surgical site and drains, medications to apply or take orally to aid healing and reduce the potential for infection, specific concerns to look for at the surgical site or in the general health of your child, and when to follow up with your plastic surgeon. Your plastic surgeon or the attending staff will instruct you on feeding your child as well as any restrictions or special activity instructions. Don’t be surprised if you find that arm restraints have been placed on your child in recovery. They will prevent him or her from injuring the surgical site as it heals. Restraints may be removed several times a day, so long as your child is supervised and prevented from touching the surgical site or sucking a thumb. 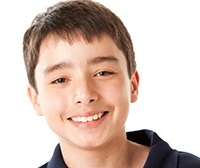 Your child’s discomfort can be controlled with pain medication. If necessary, sutures will be removed following surgery. Healing will continue for several weeks as swelling resolves. After surgery, diligent sun protection is essential to prevent the formation of irregular scars or pigmentation. The outcome of your child’s initial cleft lip and/or cleft palate repair will make a vast difference in his or her quality of life, ability to breathe, eat, and speak. However, secondary procedures may be needed for functional reasons or to refine appearance. Even though the scars of a cleft lip repair are generally located within the normal contours of the face, they will always be present. A special note: It is important to understand that while a cleft may be surgically repaired in a single plastic surgery procedure, treatment of a child born with a cleft continues through adolescence and sometimes even adulthood. As a child grows, secondary plastic surgery as well as other related surgical procedures to improve function and appearance may be required. Prices for cleft lip and cleft palate repair can vary. A surgeon’s cost may be based on his or her experience, the type of procedure used, and the geographic location of the office. Most health insurance plans cover cleft surgery because it is a reconstructive procedure. Be certain to check with your insurance carrier. Coverage varies among insurers including precertification requirements, coverage for secondary procedures, and allied health care services such as speech therapy.